Thread in 'Competition' started by Kitaru, 3 Jun 2010. Qlex, rocketman, Raul1138 and 7 others like this. Adding this score came across an interesting bug in my scoreboard program It looks like Koryan's 220 line game had a high enough pre-max score to win using the adjusted "fractional" line rule, and I hadn't changed the score sorting code to use the "real" line count displayed by the game. For now I fixed the bug so the 219 line score wins over Koryan's previous 220 line record, but we can switch to the fractional line method later if players would prefer it. So...This just happened. New LV 19 PR for me: 926,528 pts / 232 lines. About 100k increase from previous PR. Transition score was approximately 515k. Casual game between work calls. Camcorder was off - like an idiot. I promise to get the LV19 Max on video. Kitaru, wasmachstdugern, Qlex and 3 others like this. Nice game, 900k+ doesnt come easy on lvl 19 starts! Kitaru and rocketman like this. Kitaru and Qlex like this. After a long drought, got a new PB of 167,200. Finally felt in control of level 19. Still have a long way to go. I have a photo but it isn’t uploading from my phone. edit: uploaded image. Couldn't figure out how to upload it from phone. Kitaru and wasmachstdugern like this. I updated my record, 217 lines. Kitaru, Svavar, EnchantressOfNumbers and 2 others like this. Svavar, Qlex, Kitaru and 1 other person like this. 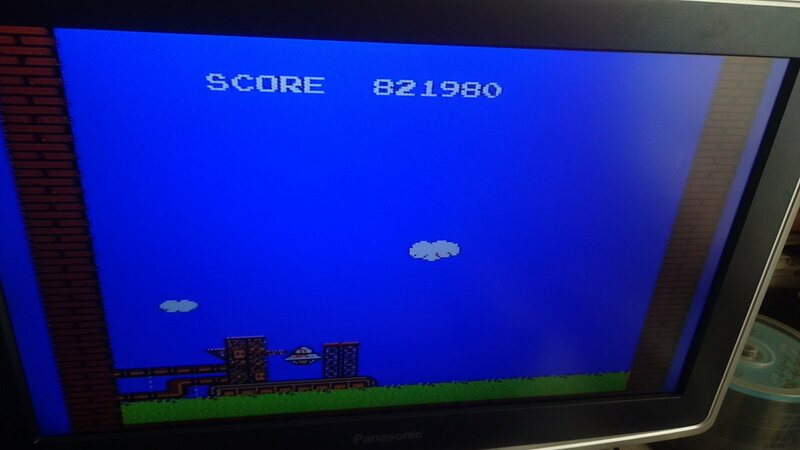 Got another new pb today with a 186,400 on starting on level 19. photo attached. Kitaru, Qlex and Raul1138 like this. The dream is still alive! Kitaru, Sumez and Qlex like this. New PB of 198k. So close to breaking that 200k mark. On a separate game I finally transitioned to level 20 for the first time while starting on 19. Got up to level 21 on that one but only scored in the mid 140s. Hoping to break 200k soon and start climbing towards 300k. Svavar, wasmachstdugern and Qlex like this. So I just had a crazy run. Hadn't been able to crack 200k and then I busted through for a 400k+ more than doubling my previous PB. Final score was 406580 with 202 lines. Wife saw that I busted passed 200k and fumbled for awhile trying to record anf finally turns camera on around the 350k mark. Video below. Not the best quality. Qlex and wasmachstdugern like this. Svavar, wasmachstdugern, suitougreentea and 6 others like this. I had a little bit of a boost (got into the 800 club). 808,700 with 231 lines. Sorry for not having video. I haven't been recording video for quite some time. Also, I'm listed twice on the leaderboard Alex. You can bump Frank W up to the 808k score, and get rid of rizz1010 (665k). Raul1138, Svavar and Qlex like this. congrats to bo on his first 19 max! he posted on FB already.... long time coming buddy! Well done! AaronC, Qlex, Raul1138 and 1 other person like this. Finally got a level 19 max out on video. Not the best game in the world, but Ill take it. Feels good to be getting back into playing more often. Last Tetris came at line 226, putting me over 999,999 at 230 lines. Qlex, wasmachstdugern and Svavar like this. Great job! It doesn't really matter if it wa sloppy or not- you made it! Congrats! AaronC and Qlex like this.